Vast connection abilities when it comes to download sources, extended searching capabilities, general ease of use – these are probably the most popular attributes looked for in a file sharing app – here’s a program that ingeniously brings all these features and more other together to create the best downloading context for a regular file sharing enthusiast. Based on the original (trouble-free) LimeWire, this app focuses on a simplified downloading process that enables accurate searching; it lets you specify fields for advanced searching options including title, artist, album, track number, genre, year, length and bitrate. Owing to multi-platform Gnutella client, ShareWire connects you with an impressive number of peers being very resourceful when it comes to finding download sources. It’s all about balancing the functional and the looks. ShareWire offers a cool interface with an intelligent design. The client is equipped with tones of features including auto-connect, groups, browse host, multiple search, upload throttling, connection quality control, library management and efficient filtering. The inclination towards convenience additionally shows with a feature that automatically removes canceled downloads – other P2P clients force you into a longer two-step process – and a direct connection to familiar IP addresses for trading files with friends. ShareWire also provides you with a full-page connection monitor to be able to manage incoming searches of the folder you are sharing and also track files being uploaded from your computer by other users. 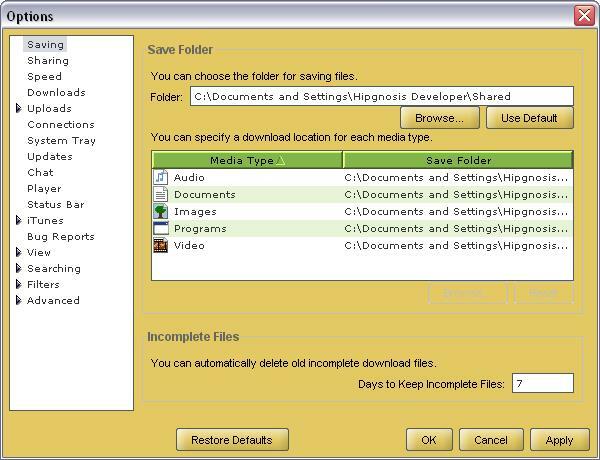 The software can be used with no difficulty by first-time downloaders.